Are you a Storyteller or a Storyshower? It’s not enough to just tell people about your story. You need to show them. The speaking industry is changing. For decades, speakers have spent their time telling stories. They’ll stand on stage for hours on end and talk. But things have changed. People don’t want to listen to speakers who just recite dry facts. They want to go on an emotional ride with a storyshower. Great storyshowers bleed authenticity. They know what makes their story unique and they can unlock the emotional power behind their words. Storyshowers can influence an audience and inspire their teams. Storyshowers do so much more than tell you what they know. They pull down their own defences and let their audiences in. They transport their audiences to moments in time and help them to feel what they felt during those moments. All of the speaking techniques in the world won’t help you if you can’t show people your story. You may feel confident and powerful on stage. But if you just tell people what you know, they’ll never fully engage with you. We’re going to help you unlock the secrets. And to do it, we’re going to show you the stories of some of Speakers Institute’s most successful clients. Vicky comes from a long line of Vietnamese boat people. In the 1980s, her family decided to move to Australia in an effort to make a better life for their children. They entered the restaurant trade and Vicky followed suit. But there was a voice deep inside that told her she could do so much more. Her story could make a difference. She just needs to learn how to show it to people. Vicki finally felt like enough was enough. The restaurant trade wasn’t helping her to fulfil her purpose, so she decided to attend a Speakers Institute bootcamp. In just a few short days, she unlocked the secrets of why she exists and what her story can show other people. After the bootcamp, Vicki attained a clarity of purpose that she may not have discovered on her own. She decided to take the next step and enrolled in our Top Tier program. She developed her story and learned more about how to show it to the world. With us, Vicki learned how to position herself in the marketplace so she stood out from everyone else. She learned how to frame one disruptive idea with emotional stories that engage and influence audiences. Vicki became a storyshower. And with Speakers Institute, she learned how to package her story to reach the widest audience possible. Many speakers have great stories to show people. But thousands of people struggle to turn their speaking into a viable business. Becoming a storyshower means little if you don’t have the business framework to get your message out there. With Speakers Institute, Vicki learned how to commercialise her message. She discovered that taking keynote speaking engagements would help her to reach a wider audience. Vicki created a brand around her story. She used the power of her uniqueness to connect and she took advantage of commercial platforms to spread her message. Then, she focused on packaging her story. Live speaking isn’t the only way to show people your story. Sure, the speakers all engage with a live audience during the initial engagement. But that speech then gets posted online and viewed by millions of people from all around the world. 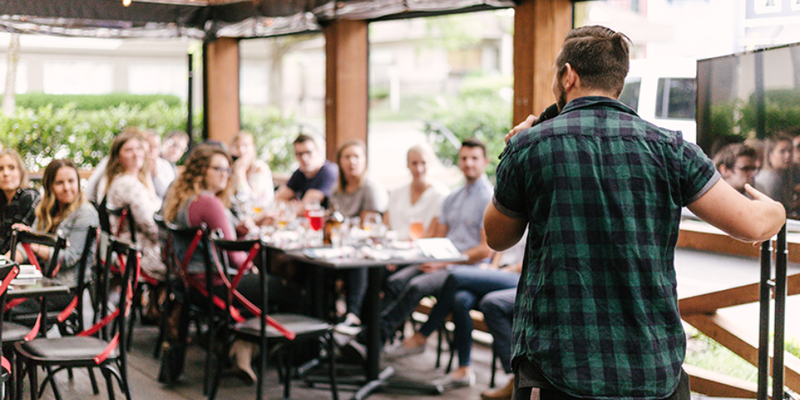 One speaking engagement can lead to a world of change. Vicki learned that collecting her most powerful stories into an online package could help her to earn while showing people her story. Today, she maintains a set of online courses that earn her $10,000 every month. But that doesn’t mean that she’s stopped giving keynote speeches. In fact, she takes part in two or three live engagements every week, each of which earns her $6,000. Constant refinement of your story can help you to engage more people. Show people why they have to care as quickly as possible. Package your story so that it appeals to the modern commercial market. People don’t want multi-hour meandering speeches. They want you to catch their attention with a story that’s well articulated and commercially viable. Peter’s story starts with a tragedy. In his mid-20s, Peter was in a motorcycle accident that left him disabled. Months of painful rehabilitation followed and he struggled to see a light at the end of the tunnel. But through sheer will and persistence, Peter overcame. Then, he started thinking about how he could use his story to help other people. He’d been through a hellacious experience and come out the other end. He wanted to show people how he did it. Peter joined the Speakers Institute bootcamp because he knew that he needed to learn from the best in the business. With us, he learned how to refine his message and show the emotions that drove his story. But he also learned how to develop the business behind his story. Speakers Institute gave Peter access to a support network that helped him to share his story. Through the bootcamp, Peter met a ghost writer who he worked with to turn his story into a book. Over the next few months, Peter worked on his book. Then, he relied on the connections he’d built with Speakers Institute to open up his distribution channels. Peter’s story found its way into every airport in Australia, Singapore, and New Zealand. The end result was a place in the Top 50 list for his book’s niche. Peter also got the opportunity to talk about his work on the Australian show Project TV, which ramped up his exposure. Today, he’s a speaker, author, and life coach who shares his story with thousands of people. Your speaking is a great way to show people your story. But it’s not the only avenue that’s open to you. In Peter’s case, writing and publishing a book brought his story to a much wider audience. Thousands of people discovered what he had to say who may never have attended one of his speeches. His entire business grew from there. His book led to television appearances, which raised even more awareness about his story. From there, Peter started taking paid speaking gigs where he showed a different side of his story to his live audiences. You could even argue that his book is the reason why he enjoys such a successful career today. Here’s the point. You have so many different avenues available to you if you have a story to share. A book is one of them, but the internet also holds many possibilities. Websites and social media pages offer you the chance to show parts of your story to visitors. 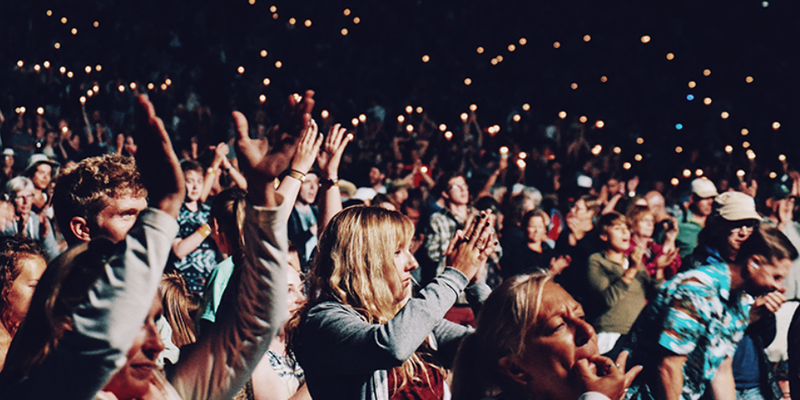 You can even use webinars to show your story to people who can’t attend your live events. Much like Vicki, Peter commercialised his story. As a result, he got to show it to even more people so that he could build a sustainable career. The above tips will help you to package your story and get it in front of a larger audience. But that won’t help if you don’t understand how to storyshow. It all comes down to emotion. But it’s not as simple as it sounds. Balancing your emotional content is the key to showing people a story that they will engage with. 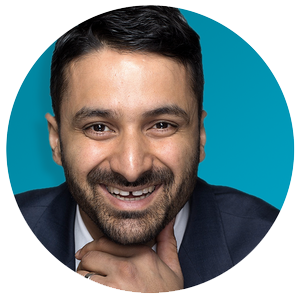 Speakers Institute founder Sam Cawthorn offers a perfect example of how not to achieve the right emotional balance. Much like Peter, Sam’s speaking career started with a vehicle accident. He crashed his car and lost his arm. But he knew that his story could inspire and influence others. But Sam’s first paid speaking engagement didn’t go as he expected. After capturing the audience’s attention with a few jokes and some statistics, he moved into his story. Throughout his telling of his story, Sam didn’t pause for breath. He just kept going without giving his audience any chance to absorb the emotional weight of the tale. Worse yet, he showed no vulnerability. Instead of showing people how much his accident devastated him, Sam cracked jokes repeatedly. He put up his defensive barriers and made connecting with his audience impossible. Humour has a place and it can elicit joyful emotions. But it’s not something that you sprinkle throughout a story about a tragic accident. In that moment, Sam learned about the importance of balancing his emotional content. He discovered that he had to show his audience the true emotions behind what happened to him. Vulnerability makes him authentic and keeps his audience engaged. Balance your emotional content. If you’re showing people a difficult moment, let them feel it. Pause so they understand your emotional state and avoid trying to bring levity into the situation. On the flipside, don’t dwell on vulnerability. That could make you seem self-pitying. Understand the emotion behind every aspect of your story and show it to your audience. With Speakers Institute, Vicki and Peter learned how to show their story. As importantly, they learned about the business behind storyshowing. Take part in a free Speakers Institute event. Book a call with us to start your speaking journey. With Speakers Institute, you’ll become a storyshower who has the tools needed to get their message out.